The Garfield Corral Scraper is a perfect choice for those hard to reach areas. This 3-point mounted scraper allows more maneuverability than a pull type scraper, making it great for cleaning inside of pens or buildings. 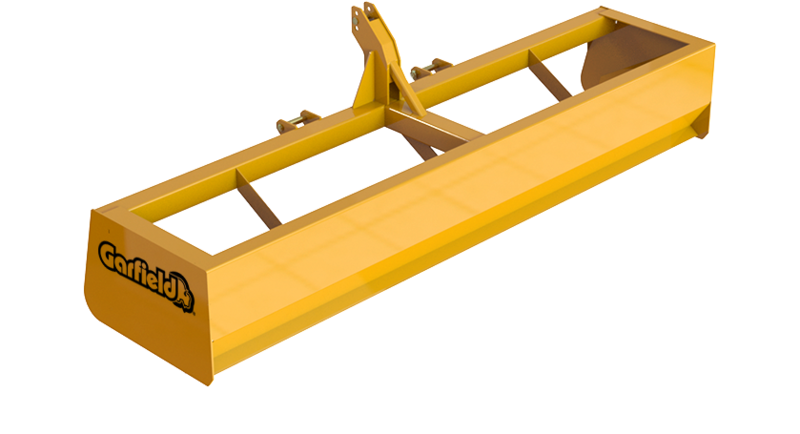 With its heavy construction, and large capacity, the Garfield Corral Scraper bigger jobs than a conventional 3-point box blade. The Garfield Corral Scraper is available in 3 widths from 8’ to 10’.